It is good to see competition in the races for Rhode Island’s congressional seats. The election of a politician to Congress too often becomes virtually a lifetime appointment. Since incumbents enjoy enormous advantages in a time of massive government spending, we have called for term limits on members of Congress. That said, the presence of a challenger does not mean that voters should blindly support the newcomer. Voters are wise to weigh who would best serve their interests in Washington. In the races for Rhode Island’s two seats in the U.S. House, we believe the far superior candidates are the incumbents, both Democrats — David Cicilline in the 1st Congressional District and James Langevin in the 2nd Congressional District. Mr. Cicilline, a former lawyer and state representative who served eight years as mayor of Providence, has shown himself to be an articulate and energetic congressman, supporting investments in infrastructure, advocating for assistance for the most needy Americans and seeking greater restrictions on gun purchases and ownership. Respected by his House colleagues, he is a member of the House Judiciary and Foreign Affairs committees. He has made efforts to reach across the aisle as a member of the No Labels coalition, which strikes to find bipartisan solutions to the nation’s problems. We continue to be troubled by Mr. Cicilline’s deceiving the public about the health of Providence’s finances during his final months as mayor in 2010, when he first ran for Congress, a big reason we supported the 2012 challenge of his distinguished Republican opponent, former State Police superintendent Brendan Doherty. But one cannot dwell on that aspect of his career forever, and he brings much to the table as a congressman for Rhode Island. Mr. Cicilline, 55, is being challenged this time by Republican Harold Russell Taub, who argues that the country needs a more business-friendly environment that will foster good-paying jobs. But Mr. Taub’s experience pales with that of Mr. Cicilline, who is positioned to do much more for the people of Rhode Island. Mr. Langevin has been involved in key issues during his time in Congress, including career and technical education, national security (including the construction of Virginia-class submarines that are built in Quonset Point and in Groton, Conn.,) and cybersecurity, which has emerged as a major concern for our nation. Indeed, Mr. Langevin was prodding business and other leaders to focus on cybersecurity long before many Americans had given it much thought. The victim of a 1980 shooting accident that left him a paraplegic, Mr. Langevin, 52, has also been involved in legislation that touches on medicine and health, including legislation that provided added help to home caregivers. Mr. Langevin is being challenged by Republican Rhue Reis and independents Salvatore Caiozzo and Jeffrey Johnson. Mr. Reis, a casino floor manager, supports term limits and efforts to reduce the federal deficit, and we are glad that he is in the race. But we see Mr. Langevin as by far the more effective representative for Rhode Island, based on his experience and proven ability to work with both parties. On September 30, President Obama proclaimed October 2016 as National Cyber Security Awareness Month. Throughout the month, the Department of Homeland Security and its private sector partners are holding events and engaging with the American public in an attempt to make people aware of the risks they face in cyberspace. As the co-founder and co-chair of the Congressional Cybersecurity Caucus, I have been involved with a number of these efforts in Rhode Island, and I strongly support the President’s continued focus on raising awareness. Unfortunately, it sometimes seems as if our awareness efforts have been overtaken by a persistent drumbeat of headlines. Whether it’s major corporations being breached, government systems being compromised, or democratic institutions being targeted in an information warfare campaign, it can feel like the news is filled daily with cyber-attacks and their aftermath. When I started the Cybersecurity Caucus in 2008, cybersecurity was rarely if ever discussed in the halls of Congress. These days, there are weekly hearings on the topic. This barrage of hacks is starting to take its toll on the public’s psyche. Recent research by the National Institute of Standards and Technology revealed that many people are suffering from security fatigue: they know that they are engaging in risky behaviors, but they are too overwhelmed to do otherwise. Cybersecurity awareness is not enough – we need cybersecurity empowerment. The first step in cybersecurity empowerment is realizing that you, the user, have a lot of control over your safety online. Most compromises of companies and individuals are the result of common mistakes that can be remedied relatively easily. Use a password manager to help you generate and store strong passwords securely. Turn on two factor authentication – for instance, receiving a code by text message in addition to your password to sign into an account. And backup your data frequently. We also shouldn’t expect technology to solve our problems for us. We all wish there was an easy fix to immunize us against cyber-attacks, just as we wish there was one vaccine that could keep us healthy. Unfortunately, that is simply not the case, so we have to keep updating our apps and washing our hands. Perhaps the most important tool of cyber-empowered consumers is their wallet. There are a number of actions companies can take to better secure their products, but if their customers – both individuals and other businesses – do not demand action, we will continue to see software and devices that are trivially easy to hack. The theme of Cyber Security Awareness Month for 2016 is “Our Shared Responsibility.” Empowered users of technology are necessary to improve our security posture, but they are just one part of the solution. Technology companies and Internet services providers need to make security a more simple and straightforward experience for all of us as users. The government needs to be prepared to help defend against and mitigate the rare, but often severe, attacks by other nation-states like Russia, China and Iran. The government also needs to incentivize and encourage businesses to adopt cybersecurity best practices. I have long viewed cybersecurity not as a problem to be solved, but as a risk to be managed. No one entity has all the answers in this arena, but, working together, we can build a more secure Internet and continue to take advantage of the wonderful benefits connectivity provides. 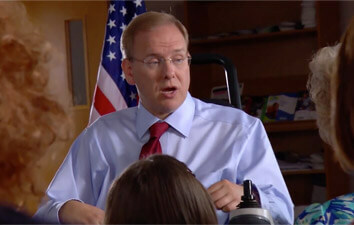 Jim Langevin, a Democrat, represents Rhode Island’s Second District in the United States Congress. He is a senior member of the House Armed Services and Homeland Security Committees, and as the co-founder and co-chair of the Congressional Cybersecurity Caucus, has been a leader on cybersecurity policy. Local high school students can now apply for college scholarships of up to $80,000 thanks to a new initiative from the Rhode Island Foundation that honors the state’s founding father. The Roger Williams Initiative is the brainchild of philanthropists Letitia and John Carter. Open to high school seniors from Rhode Island, recipients will be awarded up to $80,000 over four years based on financial need and academic good standing. Up to three scholarships a year will be awarded. Students can begin applying for the scholarships immediately. The deadline is Feb. 16. More details are posted at findingrogerwilliams.com. The website also includes a free online education hub offering activities and discussion starters on Roger Williams and his teachings for local elementary, middle and high school educators to use in their classrooms. Also available online is a comprehensive collection of verifiable information about Roger Williams, his life, legacy and character. A host of speakers joined the Foundation to unveil the new initiative at the Roger Williams National Memorial, which is the site of a freshwater spring that was the center of the settlement of Providence Plantations founded by Williams in 1636. “Roger Williams was a free-thinker and a fearless trailblazer. The values upon which he built our state are the same values that should be celebrated in young people today, and the Roger Williams Initiative will ensure that his legacy lives on in a new generation of independent leaders,” said Congressman Jim Langevin. “Thinking about the establishment of this state we would be remiss not to acknowledge the impact of the Narragansett people on the ability of Roger Williams to, first, survive and, then, thrive in our homelands. I am pleased to partner on this initiative and to share the interwoven history of the creation of this state,” said Lorén Spears, executive director of the Tomaquag Museum. “This initiative comes at a critical time when religious liberty and liberty of conscience is being threatened in our country and worldwide. Congratulations to the Rhode Island Foundation and the Carters for reinforcing Roger’s legacy in our youth of today, as they will be the leaders of tomorrow,” said David Wordell, president of the Roger Williams Family Association, which has hundreds of members in Rhode Island. “Few note the tremendous contributions Roger Williams made to our basic ideals about freedom. These freedoms we take for granted today, began as an experiment, with Roger Williams at the helm, right here in Rhode Island. These scholarships are a fantastic opportunity for the next generation to understand and continue Williams’s experiment,” said Roger Williams National Memorial Park Ranger John McNiff. The Rhode Island Foundation is the largest and most comprehensive funder of nonprofit organizations in Rhode Island. In 2015, the Foundation awarded $41.5 million in grants to organizations addressing the state’s most pressing issues and needs of diverse communities. Through leadership, fundraising and grantmaking activities, often in partnership with individuals and organizations, the Foundation is helping Rhode Island reach its true potential. For more information, visit rifoundation.org. PROVIDENCE, R.I. — What have Rhode Island’s two $174,000-a-year congressmen, James Langevin and David Cicilline, accomplished in Washington in the two years since they last faced their home-state voters? Lots, if you ask them, even though they are Democrats, from the smallest state, in a chamber currently dominated by Republicans. Langevin, the former secretary of state who has been Rhode Island’s 2nd District congressman since 2001, takes credit for wording in five pieces of legislation that have cleared Congress since January 2015, including a boost in potential funding for transportation services for the disabled, a cyber-crime prosecution bill and the naming of a South County post office. Cicilline, the former Providence mayor who has been the state’s 1st District congressman since 2011, had a hand in nine new laws that included a hike in funding for a national Veterans Crisis Center, the naming of a Providence post office, notice to manufacturers of overseas contract opportunities, and a high-profile diaper-changing bill. Cicilline’s checklist includes the “Bathrooms Accessible in Every Situation (BABIES) Act,” which was recently signed into law by President Obama. The legislation mandates that all restrooms in federal buildings have diaper-changing stations. The issue took flight after actor and new dad Ashton Kutcher complained on Facebook about the lack of diaper-changing stations in men’s restrooms and later started a Change.org petition to get the ball rolling. Advocates rallied to the cause. Cicilline led the charge in Congress with an election-year bill that cleared the U.S. House of Representatives, 389-34. The Senate unanimously approved the bill before it landed on the president’s desk. “This is how government should work to make commonsense reforms that make life easier for the people we serve,” he said in a statement. Cicilline’s campaign spokeswoman, Kathleen O’Hanlon, said former representative Dale Kildee, D-Michigan, had introduced the bill in previous Congresses, without success. Who could possibly object to a bill titled “BABIES”? “If David’s position in the minority means that all he can do for voters of the 1st District is to manage baby furniture legislation on the floor, then I think those voters ought to consider hiring a representative who will be in the majority,” Taub said. Langevin faces Republican Rhue Reis and independents Salvatore G. Caiozzo and Jeffrey Johnson. Langevin has seen five pieces of legislation that bear his imprint signed into law in the last two years. The most recent named a federal post office in North Kingstown after the late Melvoid Benson, a one-time state lawmaker and teacher hailed as a trailblazer for women of color in elected office. Langevin, who has been paralyzed since he was accidentally shot as a teenage police cadet, also cosponsored an amendment to a five-year, $305-billion transportation-funding legislation that boosted potential funding for public transit services for people with disabilities. Previously, local transit systems could use up to 10 percent of their federal formula funds to provide “mobility options for people with disabilities.” The language that Langevin cosponsored with congressmen Steve Cohen, D-Tennessee, and Frank LoBiondo, R-New Jersey, doubled the allotment to 20 percent if the extra money is targeted for improvements such as wheelchair lifts. Elements of an unrelated bill that Langevin cosponsored with Republican Rep. Randy Forbes, R-Va., were incorporated into an omnibus cybercrime bill. According to Langevin, the law would make it easier for authorities in the United States to prosecute foreign criminals who trade in Americans’ stolen credit cards.” These are the middlemen who sell stolen credit- and debit-card numbers. Under previous law, these middlemen had to store the stolen card numbers or their illicit gains from selling them in the United States to be prosecuted. According to Langevin’s staff, the new law would permit the United States to prosecute anyone trafficking in credit-card numbers with intent to defraud if the credit cards were issued by a United States financial institution, regardless of where the possession or trafficking took place. Langevin, who is the co-founder and co-chair of the Cybersecurity Caucus in the U.S. House, also placed his imprint on a 2015 law that provided immunity, from liability, to private companies that voluntarily report “indicators” of possible hacks to other businesses and federal agencies. The bill was titled the National Cybersecurity Protection Advancement Act of 2015. Cicilline takes credit for portions of nine new laws, including the “BABIES” bill. He led a successful effort in Congress to rename the Elmwood Avenue Post Office in Providence after the late Sister Ann Keefe, a social justice advocate who worked for more than 33 years at St. Michael the Archangel Church, in South Providence, and helped launch at least 22 organizations, including the Institute for the Study & Practice of Nonviolence. Also on his checklist: the 2015 passage of an amendment to a National Defense Authorization Act that was aimed at requiring the departments of State and Defense to give American companies the same opportunities that are given to overseas competitors to equip the Afghan National Security Forces. The owner of the company that manages Northwest Woolen Mills in Woonsocket was very appreciative. “American manufacturers have been at a competitive disadvantage for years because the Department of Defense is not required to notify them about overseas military contracts,” said Sam Brickle, chairman of the board of the Brickle Group, according to a press release issued by Cicilline’s office. Responding to a Journal inquiry about the tangible effects of the legislation, company president Max Brickle cited awards of foreign-military supply contracts for pea coats and blankets. On the federal funding front: Cicilline “led the effort,” according to his staff, to secure extra funding for the 24/7 operation of a national Veterans Crisis Line. The $78.5 million included for the crisis center in a “continuing resolution” to fund the federal government represented a 40-percent increase over last year’s funding. Cicilline took up the cause after an Inspector General’s report revealed that nearly 1 in 5 of the 450,000 calls placed to this mental-health and suicide-crisis hotline in 2014 had been directed to a backup call center, and callers did not always receive immediate assistance. Cicilline also takes credit for blocking an effort to reduce Rhode Island Public Transit Authority funding by $12 million, and securing $927,000 for the creation of the Blackstone River Valley National Historical Park. According to his office, Cicilline also championed new federal grants for afterschool programs, reflected in the “Every Student Succeeds Act.” State Department of Education spokesman Elliot Krieger told The Journal that Cicilline’s advocacy saved $5.4 million in annual grants for afterschool programs from getting swept into a block grant. PROVIDENCE, R.I. — Governor Gina M. Raimondo, joined by Congressman David N. Cicilline, Providence Mayor Jorge O. Elorza, state workforce development officials, and business leaders, today launched Skills for Rhode Island’s Future, a public-private partnership that meets the hiring needs of employers by offering customized talent sourcing solutions to place qualified long-term unemployed and underemployed candidates into available positions. Raimondo credited the Greater Providence Chamber of Commerce, which along with the Department of Labor and Training (DLT), is collaborating with Skills for RI’s Future. She thanked employers that have already committed to consider, recruit, and hire applicants who have been unemployed longer than six months including event host Bank of America, CVS Health, and General Dynamics Electric Boat — and she encouraged other employers to join them in making this commitment. The more employers that sign up, the more unemployed Rhode Islanders will get back to work and onto promising career pathways at quality companies. The importance of “buy in” was made clear when Skills for Rhode Island’s Future announced that already, RI employers have committed to hire 150 long-term unemployed workers through this new sourcing connection. Skills for RI’s Future (SRIF) is based after the successful model created by Skills for Chicagoland’s Future, a nationally recognized workforce intermediary that has shown great success in getting the unemployed back to work. 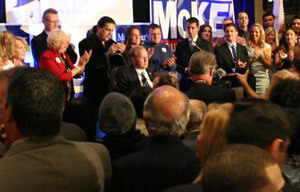 Rhode Island is the first statewide launch of this model, and the first expansion of the initiative outside of Chicago. The Congressional Delegation helped obtain a $5.25-million Sector Partnership-National Emergency Grant, of which $1.25 million is funding Skills for RI’s Future. The US Department of Labor announced this award in June 2015. “Governor Raimondo has said that our state needs programming to provide ‘skills that matter for jobs that pay,’ and that statement really resonated with me. 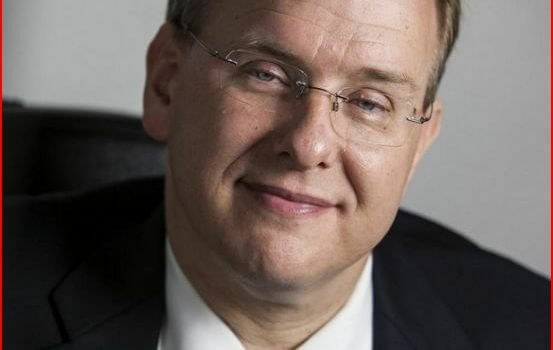 There are employers in need of talented workers, and Rhode Islanders in need of work opportunities, and Skills for Rhode Island’s future is the type of bridge we need to close the divide,” said Congressman Jim Langevin, who co-chairs the bipartisan Career and Technical Education Caucus in Congress. 3. Offering valuable, business-to-business services, from targeted recruitment to customized train-to-hire programs, at no cost to employers. 4. Delivering services with the speed and agility employers and training partners need to connect with skill-ready talent. WEST WARWICK — Rhode Island Congressman Jim Langevin visited AstroNova Tuesday afternoon as part of his Rhode Island manufacturing tour. AstroNova, formerly Astro-Med, Inc. located on East Greenwich Avenue, is a data visualization technology firm global leader in developing and applying data visualization technologies in products serving industrial, packaging, aerospace, and the defense markets. The company creates solutions that acquire, process, analyze, store, print, and present data in a variety of useable forms. These solutions are adapted specifically to customer requirements to enhance the quality, productivity, and profitability of their businesses. AstroNova has three branches including Test and Measurement, Aerospace and Quicklabels. All AstroNova products are derived from its data visualization technology and are manufactured in its Rhode Island, Canada and Germany facilities. Direct sales and service centers are operated in the Unite States, Canada, Mexico, France, Germany, UK, China, Malysia and Singapore. Because Langevin believes strongly in keeping the economy growing in the state through, in part, manufacturing, he felt is was important to include AstroNova as part of his tour. The company started out with producing data and measurement equipment then branched out into the printing areas. Tom Carll, vice president and general manager for the aerospace area, explained that the company produces printers for air crafts that provide readouts for all the instrument data and area data necessary for a flight, which can be printed as well. “Even with all this new technology of Ipads, etc, the pilots are still telling us that they like the information printed because they can have it right in front of them without scrolling through anything and the can write on it,” Carll said. Carll added that much of their aerospace business come from Boeing, American Airlines and Delta. “We’re in the process of creating a smaller printer so it can fit into smaller aircrafts,” he added. Langevin was impressed with the work that goes on there as well as how the company has been able to grow and hopefully attract the younger people to join in the career. “We always hear about the skills gap and I’m always looking for ways we can improve training systems for young folks who have recently graduated or before they graduate,” the Congressman said. Woods said the company does work with students from University of Rhode Island and Brown University. Some of the companies they work with include Kimberly-Clark, General Motors, Raytheon, Panasonic and Boeing. They attribute their growth to their efficiency and product line expansions. Cyber security threats to computer equipment and anything connected to the internet is something most people are used to hearing about. Now the cybersecurity concerns are much closer than ever before… Hackers can attack implantable, wireless medical devices and other lifesaving medical equipment. Now… its personal. Earlier this month, Johnson & Johnson had to inform 114,000 diabetic patients that one of its insulin pumps, the J&J Animas OneTouch Ping, could be hacked. The device could be attacked, disabling the pump or alter the dosage. Just recently, MedSec, a cybersecurity firm exposed a life threatening security vulnerability which endangered the safety of patients who own defibrillators and pacemakers manufactured by St. Jude Medical. Hollywood Presbyterian Hospital paid a $17,000 ransom to a criminal enterprise that broke into the hospital’s system, earlier this year encrypted data, then demanded an even larger payment. Hackers have been using this type of ‘ransomware’–a type of malware in which attackers can steal or delete the contents of users’ computers if they don’t pay a ransom–for the past 25 years. However, how, it seems, the same type of malware, can be used to hack into medical devices and equipment. Cyber experts have determined that Ransomware in medical devices is the single biggest cyber security threat for 2016, according to a recent report from research and advisory firm Forrester and reported by Motherboard. The answer is probably… even if you are just someone whose provider uses online patient portals to access medical records. The truth is everyone is at risk because of the growing and rapidly expanding threat of hackers that can illegally access anything connected to the internet. The video below, originally published by the Wall Street Journal provides a better overview of the security threats and vulnerabilities. Earlier this year, the FDA issued a letter warning hospitals and patients that a pump commonly used to ration out proper dosing of medicine in IVs could be vulnerable to attack. 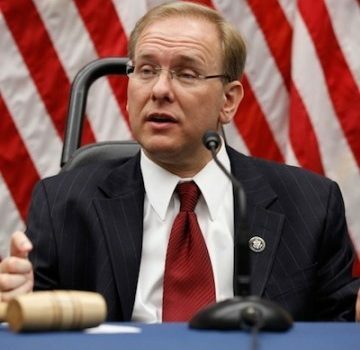 Rep. Jim Langevin (D-R.I.), who co-chairs the Congressional Cybersecurity Caucus, wrote the Food and Drug Administration (FDA) to praise the agency’s draft cybersecurity guidelines for medical devices. As noted in a statement published by the Hill.com, Langevin said, “I strongly support FDA’s efforts to improve the security of medical devices, and if finalized, the draft guidance would make substantial progress in this area,”. He further supported their progress while expressing concern about the potential for harm to patient safety if medical devices are compromised. Such concerns are equally shared by security specialists who worry that hackers can penetrate hospital firewalls and seal patient data, and control the functions of vital equipment such as medication pumps, ventilators and heart monitors. An ever larger issue is the vulnerability of hospitals to attacks that could threaten operations, systems and infrastructure needed to save lives, particularly during an emergency situation or national crisis. So it’s clear that now even medical devices have become the target of aggressive, unethical computer hackers. Addressing the security threat posed by this vulnerability will require multiple levels of intervention. The FDA diligently working to update its digital security guidelines and recommendations as more medical devices are connected to the Internet. Organizations that develop medical devices and technology will have to take additional measures to increase their security protocols before obtaining final approval. 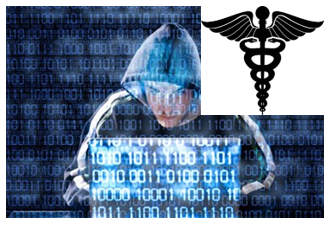 Physician offices, clinics, hospitals and other health care provider organizations will need to partner with cybersecurity firms to take extra steps to ensure the safety of patient data and other medical technology. We asked the following questions of candidates for US Congress. These are the people we’d be sending to Washington, so we went easy on the RI-related policy questions and tried to open up some of the bigger pictures. Respondents in the race for District #1 were David Cicilline (Dem, incumbent) and Russell Taub (Rep). Respondents in the race for District #2 were Jeff Johnson (Ind), James Langevin (Dem, incumbent), Rhue Reis (Rep). Independent candidate Sal Caiozzo could not be reached for comment. Any editing was strictly for clarity or spelling. What is the single most important issue facing RI right now and how would you address it in Congress? Is the biggest issue facing the country different? Jim Langevin (D): The most important issue facing Rhode Island and our nation is the economy, and fostering an environment that supports job growth. This is one of my top priorities in Congress, because as I visit businesses around our state, I hear often that companies are hiring but are struggling to find qualified candidates. This gulf, known as the skills gap, is a national issue because our education system has become disconnected from the workplace. As co-chair of the bipartisan Career and Technical Education Caucus in Congress, I am focused on closing that skills gap and ensuring that young people have access to the training, education and certification programs that will prepare them for the jobs that are available today and will grow in the future. Would you advocate changing any gun laws, if elected? In what ways? Langevin: I support the Second Amendment, but I also support commonsense reforms that will keep guns out of the wrong hands. I believe that every person who purchases a gun should have to undergo a background check. That means we must close the gun show loophole, and prohibit individuals on the No-Fly List who are suspected of terrorism from purchasing weapons. I also introduced the Crackdown on Deadbeat Gun Dealers Act to ensure that gun dealers are complying with federal regulations. Finally, we should reinstate and strengthen the federal ban on assault weapons, some of which have been used in recent shootings. If you had to choose, would you allocate more financial support to 1. arts education 2. health education / fitness or 3. traditional academics? Langevin: Arts education, health education and traditional subjects like math and science are all critical to a well-rounded education, and none should be overlooked. Last year, I supported passage of the bipartisan Every Student Succeeds Act, which empowers schools to incorporate art, music and many other subjects beyond the standard curriculum, and includes grant programs for extracurricular activities, with a special focus on using them to further student achievement. All of these investments are critical to student success. What’s your position on the idea of free college tuition? Langevin: I believe that higher education should be accessible to all students – not just those who can afford it. I have advocated strongly for the expansion of Pell grants that help young people pay for college, and we must do more to get the overall cost of college under control. That must include reining in interest rates on student loans. I believe that the interest rate should cover only the essential costs of administering the loan. The federal government should not be making a profit on the backs of hardworking students. According to a study in the journal Obstetrics & Gynecology, US maternal mortality rates are currently some of the highest among developed nations. What do you view as the biggest contributing factor to this statistic and what can be done to address it? Langevin: While the Affordable Care Act has reduced the percentage of uninsured Americans to a record low of just over 9%, access to quality, affordable healthcare remains a challenge, particularly in rural communities and for low-income women. We must work to improve on the ACA and continue breaking down barriers to care, for women and for all Americans. We must also do much more to support mothers in general, and that includes enacting paid family medical leave so that women don’t have to fear losing their jobs for taking care of themselves and their children. Are you concerned about the economic effects of climate change, particularly on RI? And if so, what should be done to slow or reverse the effects of climate change? Langevin: Climate change presents serious economic, environmental and national security challenges. In Rhode Island, we feel the effects more acutely because our economy is closely tied in to our coastal resources. Sea level rise, coastal erosion and the increasing frequency and severity of severe weather events threaten our homes, our businesses and the lives of our citizens. There are many steps we can and must take to address climate change, including reducing global emissions and decreasing our consumption of oil. As Energy Task Force Chair and a founding member of the Sustainable Energy and Environment Coalition, I believe that renewable energy is the future. We must invest in innovation and development of clean technologies like solar, wind and geothermal. I have supported legislation that would require 20% of our nation’s electricity to come from renewable sources by 2020, and that is just the beginning of what we must do to slow the damaging effects of climate change. In a recent Washington Post survey, only 3% who responded considered congresspeople highly productive. Why do you think people look at congress so unfavorably? Langevin: Partisanship has reached an all-time high, which is incredibly frustrating because I have seen what good can come from working across the aisle. In fact, I have made bipartisanship a hallmark of my tenure in Congress, and I work with as many Republican partners as possible: on workforce development, it’s Republican Congressman GT Thompson of Pennsylvania; on cybersecurity, it’s Republican Congressman Mike McCaul of Texas; on disability policy, it’s Republican Congressman Gregg Harper of Mississippi. And that’s just to name a few. We don’t agree on everything, but we work together to find common ground and get results. That’s what our constituents deserve and expect from the people they elect. Join Jim Langevin for coffee and a candid conversation on Wednesday, October 19, at 10 a.m. This is the next in a series of #LangevinListens coffee hours, and all constituents are invited to join Jim to ask questions, share your concerns, and talk about the issues that are important to Rhode Island.